It's tennis season. Need we say more? If there’s one thing Pippa Middleton can be relied on for (except awkwardly obvious party tips) it’s putting in an appearance at the tennis. And so it was, that yesterday, she took her seat in the VIP box at the Queen’s Club in London to watch Bulgarian Grigor Dimitrov play Great Britain’s James Ward. 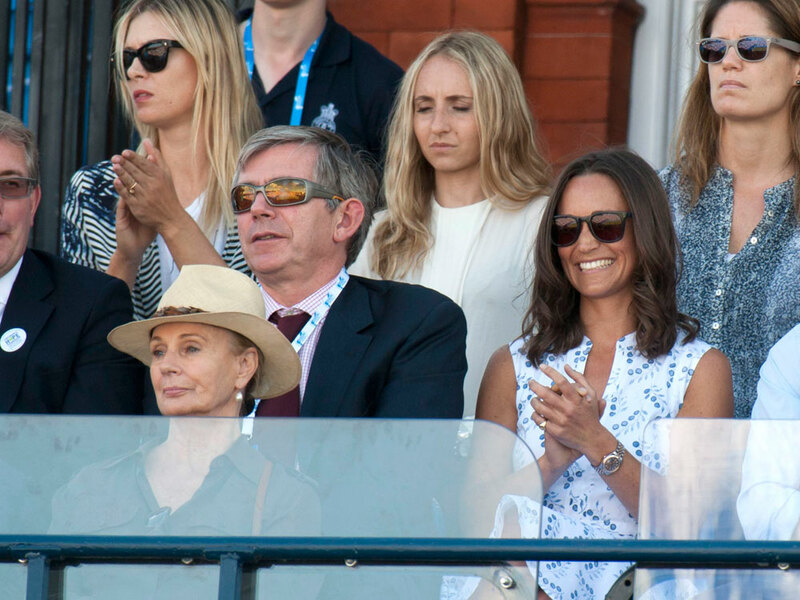 Wearing a printed Tory Burch dress and showcasing a new ‘lob’ (you know, a long bob), the younger Middleton sister shared the box with Russian tennis star Maria Sharapova at the Aegon Championship. There was no sign of her man friend, Nico Jackson, but she was joined by another suitably middle class looking gent. With Wimbledon just around the corner, get ready to see a lot more of Pippa and, hopefully, Kate Middleton. Yay for tennis.